You could be wasting money each month on old subscriptions without even realizing it. Trim can help you put an end to the waste. 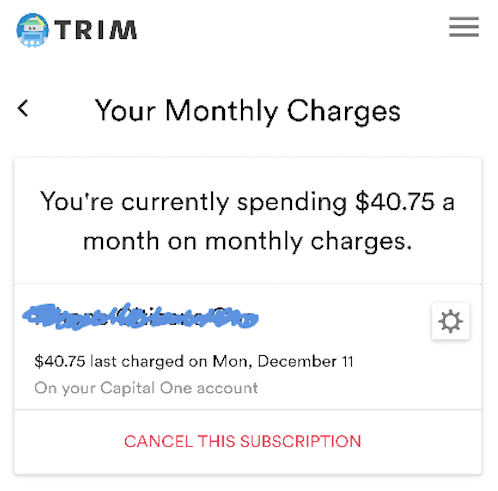 Trim is an amazing new tool that analyzes your spending to help cut out unnecessary expenses. Have an old Pandora account you never user? They'll help you identify and cancel that expense. But that's not all. They will even negotiate your cable bill down, without you having to lift a finger. They automatically contact and communicate with Comcast, Time Warner, Charter and every other cable provider to get you some cash off your monthly bill. Doesn't that sound amazing? They can even help you find better car insurance rates! The signup process took me a total of four minutes (including linking my account) and was quick and painless. I like that each step is easy to understand and lets you get started as soon as you are logged in. I wanted to check my subscriptions first, so I texted ‘Subs’ to Trim and immediately received a notification that they had found one recurring payment on my account. Next, I wanted to check how much I had spent on Amazon this month. I was fairly certain I hadn’t purchased anything yet but still wanted to check out this feature. 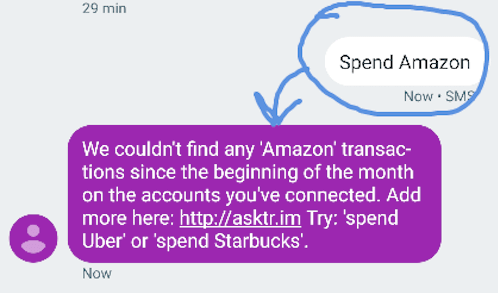 A quick message to Trim (‘Spend Amazon’) confirmed that I've spent $0 on Amazon this month. Asking Trim how much I've spent on Amazon this month – nothing...yet! Once you sign up for Trim and connect an account, you’ll be able to start using all the features immediately. It’s up to you whether you want to connect all of your accounts or just a few, but the more accounts you connect, the better idea you’ll have of your subscriptions and spending. Trim uses an encrypted software to scan your transaction history and reports that information to you. It’s a simple, secure, and effective process. And if you’re reminded of a subscription you no longer want, it’s easy to have Trim cancel it on your behalf so you don’t have to go through the process yourself. Is Trim Safe and Secure? I’ll be honest and say a part of me was nervous to connect my accounts but after researching the level of security Trim uses, I knew I could confidently move forward with signing up. The bottom line is: Trim takes security very seriously (as they should). Instead of storing your bank or credit card information, they use 256-bit SSL encryption. Not only does that protect you with bank-level security, it’s also good for peace of mind. They also require two-factor authentication and use read-only access to keep your sensitive account information safe and private. Two longtime friends, Dan Petkevich and Thomas Smyth, founded Trim after realizing they had been mindlessly paying more than they needed to on certain expenses. In fact, Dan realized he had been paying a renter’s insurance policy for an apartment he didn’t even live in anymore and hadn’t for an entire year. 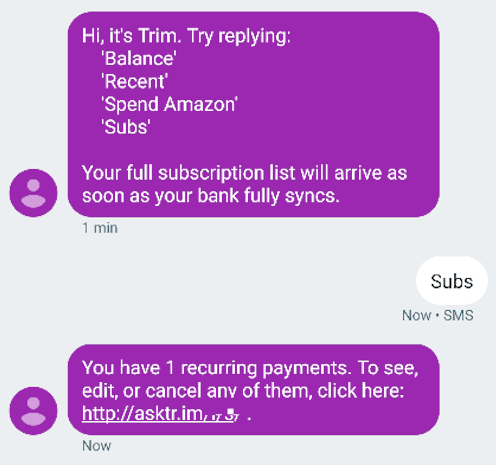 After realizing the need in the market for a service to help tackle unwanted subscriptions and fees, they worked together to create Trim. So far, they’ve helped users save over $8,000,000! 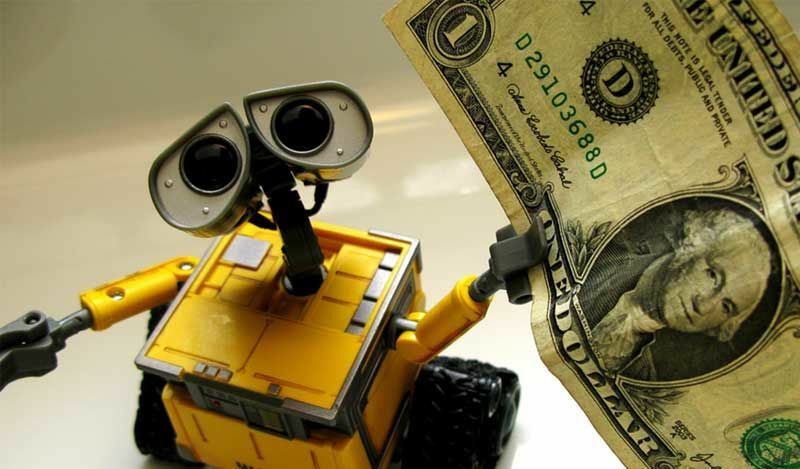 Wasting money is frustrating – especially when we don’t even realize we’re doing it. Trim has already helped others save over $8,000,000 on their bills without much time and effort. » Click here to sign up for an account today and see how much you could be missing out on. Christine writes about credit cards, business and travel. Get to know her!